Making Business Model Workshop goes on after yesterday’s first session! The first activity of the second day was design to investigate the processes related to the development of a project. The participants to the B2B table were grouped in pairs, in which they had to “play” the role of the interviewer and the interviewee. Subject of applications: every interviewed had to specify the main actions to be done before, during and after the project. 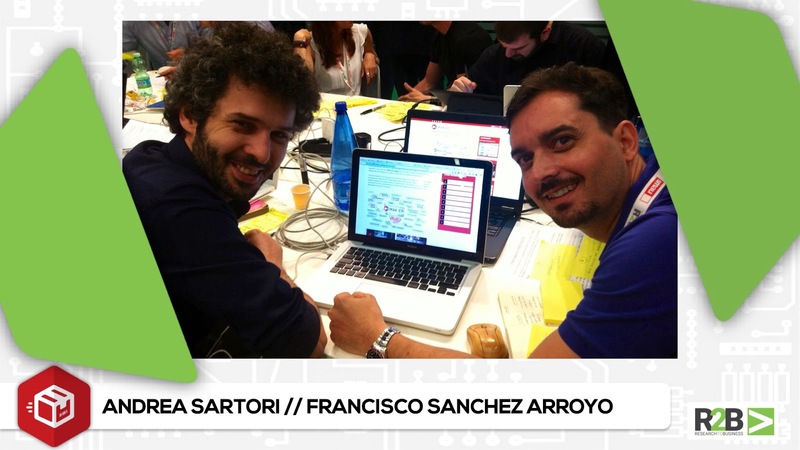 This is what has emerged from the comparison of one of the couples, formed by Andrea Sartori , who presented “Protobello – FigaRòBot” project, from Fablab Bologna, and Francisco Sanchez Arrojo, representing The Beach Lab with the project “Smart Sitges – Noise Module”. Description: Sitges has a very exciting nightlife. But it also generates noise that disturbs the neighborhood. City council is slow and inefficient in measuring and reducing the noise levels. This projects consists in sensors and a platform to measure and acknowledge the Police when certain values of noise are reached. 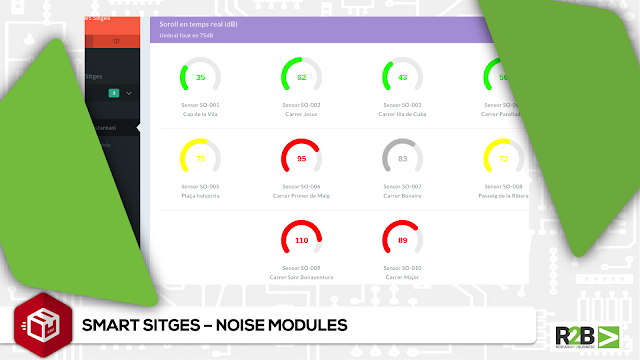 This project is one of the modules of Smart Sitges, an open source Smart City built for and by its citizens. Context: Initially municipality rejected fablab request to be on the beach, because they wanted to promote only restaurant and commercial in this zone: they still don’t have license to be on the beach… but municipality at some point allowed the fablab to stay there. The idea: Francisco read the issue ona civil, even the press was talking about it: they thought to propose a solution to the municipality. The proposal was aimed to have a social impact: they wanted to coach people to build and install 10 sensors, to test them and to learn how to replicate them. The reality was a sale of machinery. The municipality didn’t accept the social approach and worked with The Beach Lab as a normal supplier. The sensors should measure continuously the sound level. Contract should be ready in 15 days, it has leasted 6 months: the project is ongoing from february, there are 3 makers working on it, and it should be finished by the end of the year. Noise Module is open, they could sell it to other municipalities, for example. But Francisco highlighted that in the future they want people to learn how to manage and recreate the technology and solutions sold, because they are very concerned with social impact. Description: Barbers historically have serious health issues related to their posture at work. Protobello – Figaròbot is a study to build a solution in order to resolve this huge problem. Context: Fablab Bologna received a phone call from a baker, he came at the laboratory and he wanted some privacy, a meeting with 2 makers to expose his issues… he was pretending to be a baker, to understand how fablab works and he was scared about opensource mood. Reality: A formal non-disclosure agreement for privacy was signed, but there isn’t a formal contract. The service requested was a consultancy and the outcome required was an accurated quote. Giving sketches, technical details and how much it costs to have a prototype. They have talents in the community, they spotted 4 skills in particular, and they composed a team charged to prepare the detailed quote. Maybe the client is collecting money to go on, or to make his own business plan to find his market and sell the product… at the moment they don’t have news. All the research and outcome are reserved to this client, the project is not opensource. They usually ask 20% in advance in this cases, to assure their work. Now Andrea and Francisco has the task to write down on post-it the actions done before, during and after their projects. They have decided to include the “wishes actions” too, in ortder to have a much more complete vision of their two projects.